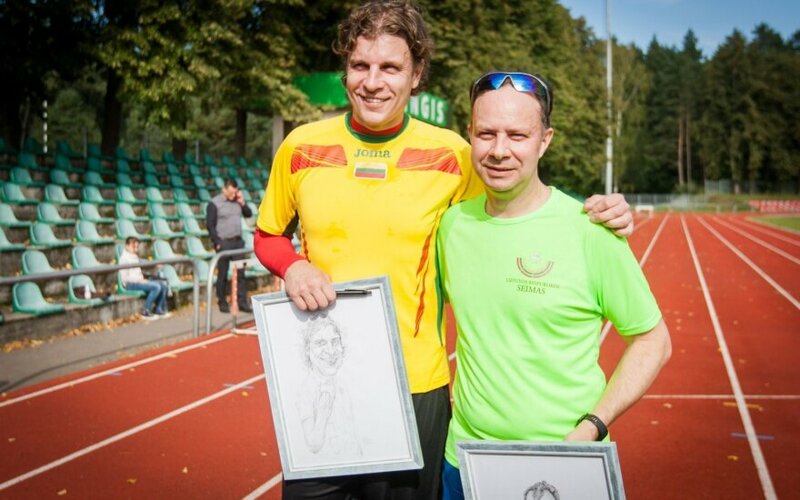 After a 5 km race challenge in Vingio Park in Vilnius on Saturday, ZAS singer Linas Zareckas still had a different opinion on alcohol consumption than Minister of Health, Aurelijus Veryga. After defeating the Farmers and Greens Union's minister in the race, Zareckas told journalists that healthy lifestyle had nothing to do with life without sugar and alcohol, referring to the ruling party's initiatives to restrict accessibility of alcohol and consumption of sugar. "I work, have children, drink alcohol, eat sugar and I am in support of the healthy lifestyle that does not harm you and those around you. So if you want a beer or something sweet after a jog, please go ahead. Please do not make us feel like patients, we know for ourselves what we eat, how we live, you have real patients to treat, mister minister," said Zareckas. The minister downplayed the defeat, saying that Zareckas did not run faster because of drinking beer but because of more frequent runs and lower alcohol intake. "I believe Linas did not start drinking more to run better. 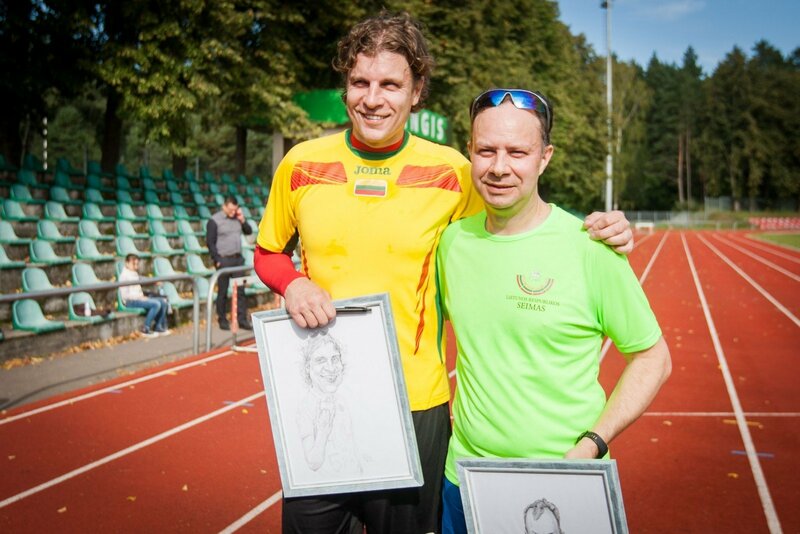 I do not think he proved something like that, quite the opposite – instead of drinking, he started running more, thus proving in a way that health is not in alcohol, it is in being active," Veryga told journalists after the run. Zareckas had challenged the minister to race him in an effort to state his doubts of health effects of drinking less alcohol or eating less sugar. The jog involved more participants, namely, MPs, health enthusiasts and runners. The parliament has raised the alcohol buying age to 20 years starting 2018, banning any type of alcohol advertisement, with the exception of names of alcohol producers and brands. Alcohol selling hours have also been shortened. Starting 2020, only weak alcohol of up to 7.5 percent will be allowed in all mass events, with no alcohol allowed on beaches. Specialized alcohol stores are also considered. Furthermore, the government's action plan also includes evaluation of tax instruments to cut sugar consumption. Veryga has urged producers to agree on lower content of sugar, salt and saturated fats in their production.